PT Astra International Tbk - Astra International or more popularly called "Astra Group" is one of the largest public-listed business groups in Indonesia. 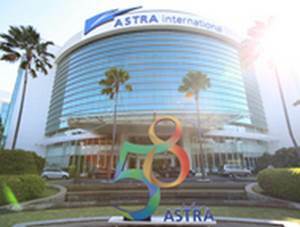 Astra Group started operations in 1957, and within 60 years has established itself as the leading business group in Indonesia, with 191 subsidiaries/affiliates/jointly controlled entities as well as more than 227,099 employees operating in 6 business segments, namely Automotives, Financial services, Heavy equipment, mining and energy, Agribusiness, Infrastructure, logistics and others, and Information technology. Astra Group has its legal domicile in Jakarta and its head office is located at Jl Gaya Motor Raya No 8 Sunter II - Jakarta Utara Jakarta 14330. In term of financial performance, PT Astra International Tbk booked total revenue of Rp 184,196 billion in 2015. This reflected a 9% down as comared with total revenue in 2014 amounted to Rp 201,701 billion. Astra Group's total net income decreased 25% from Rp 19,191 billion in 2014 to Rp 14,464 billion in 2015, according to PT Astra International Tbk 2015 Full Year Financial Statements as cited by JobsCDC.com. Background in Bachelor Degree (S1), majoring in Accounting, Finance, Industrial Engineering, Computer Science, IT, Mathematics,Statistics. Both experienced (max. 2 years of experience) and fresh graduate candidates are highly welcome. Proficient in English both written and speaking. Background in Bachelor Degree (S1), majoring in Accounting. Background in Bachelor Degree (S1), majoring in Public Relation, Marketing Management. JobsCDC.com now available on android device. Download now on Google Play here. Please be aware of recruitment fraud. The entire stage of this selection process is free of charge. PT Astra International Tbk - Fresh Graduate, Experienced Trainee, Analyst Astra Group August 2016 will never ask for fees or upfront payments for any purposes during the recruitment process such as transportation and accommodation.